Orange Peel Tool Only 71 Cents PLUS FREE Shipping! You are here: Home / Great Deals / Amazon Deals / Orange Peel Tool Only 71 Cents PLUS FREE Shipping! This is a really great tool for anyone that loves citrus! This Orange Peel Tool Only 71 Cents PLUS FREE Shipping! 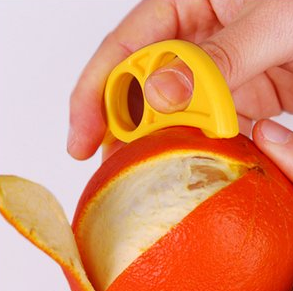 Get a couple of these for sticking in lunches for kids and they will never have trouble peeling an orange again!